Last July Birkbeck College held “the first” symposium on Tom McCarthy’s work (quotes are not mine – McCarthy’s). It comes as no surprise that so many people now are not only reading Remainder, Men in Space, C, but also researching them – that his novels should find an audience was only a question of time. 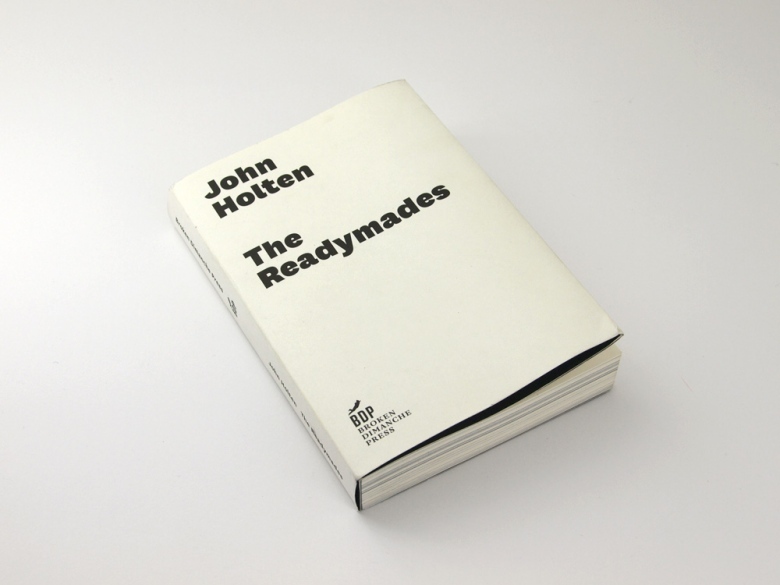 Young writers could do worse than take a leaf from McCarthy’s book; John Holten, for one, whose debut The Readymadescontinues the European tradition without trying to pass itself as a book by a Continental author. To say that McCarthy’s shadow is hanging over it would be unfair – rather, his themes are played anew, at times convincingly, at times tentatively, but for the most part boldly and with an honesty bordering on desperation.